Ping is the name of a standard software utility used to test network connections. It can be used to determine if a remote device—such as a website or game server—can be reached across the network and if so, the connection's latency. Ping tools are part of Windows, macOS, Linux, and some routers and game consoles. You can download other ping tools from third-party developers and use the tools on phones and tablets. Note: Computer enthusiasts also use the term "ping" colloquially when initiating contact with another person via email, instant message, or other online tools. In that context, though, the word "ping" just means to notify, usually briefly. Most ping utilities and tools use Internet Control Message Protocol (ICMP). They send request messages to a target network address at periodic intervals and measure the time it takes for a response message to arrive. How many times to send requests. How large of a request message to send. How long to wait for each reply. IP address of the responding computer. Length of time in milliseconds between sending the request and receiving the response. An indication of the number of network hops between the requesting and responding computers. Error messages if the target computer did not respond. When using ping on a computer, there are ping commands that work with Command Prompt in Windows. One tool called Ping works on iOS to ping any URL or IP address. It gives the total packets sent, received, and lost, as well as the minimum, maximum, and average time that it took to receive a response. A different app named Ping, but for Android, can perform similar functions. In late 1996 and early 1997, a flaw in the implementation of networking in some operating systems became well-known and popularized by hackers as a way to remotely crash computers. 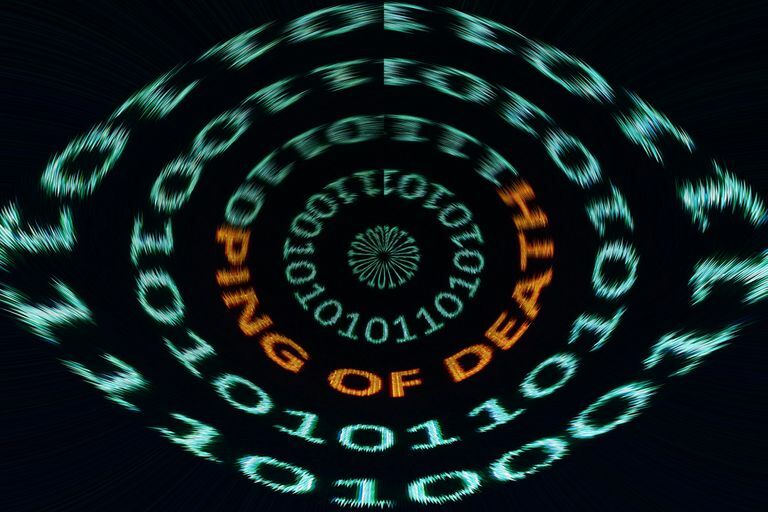 The "Ping of Death" attack was relatively easy to carry out and dangerous due to its high probability of success. Technically speaking, the Ping of Death attack involved sending IP packets of a size greater than 65,535 bytes to the target computer. IP packets of this size are illegal, but a programmer can build applications capable of creating them. Carefully programmed operating systems could detect and safely handle illegal IP packets, but some failed to do so. ICMP ping utilities often included large-packet capability and became the namesake of the problem, although UDP and other IP-based protocols also could transport the Ping of Death. Operating system vendors quickly devised patches to avoid the Ping of Death, which no longer poses a threat to today's computer networks. Still, many websites have kept the convention of blocking ICMP ping messages at their firewalls to avoid similar denial of service attacks.